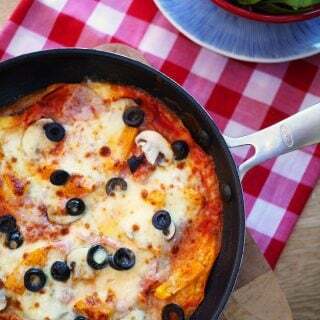 Looking for a healthier pizza option? 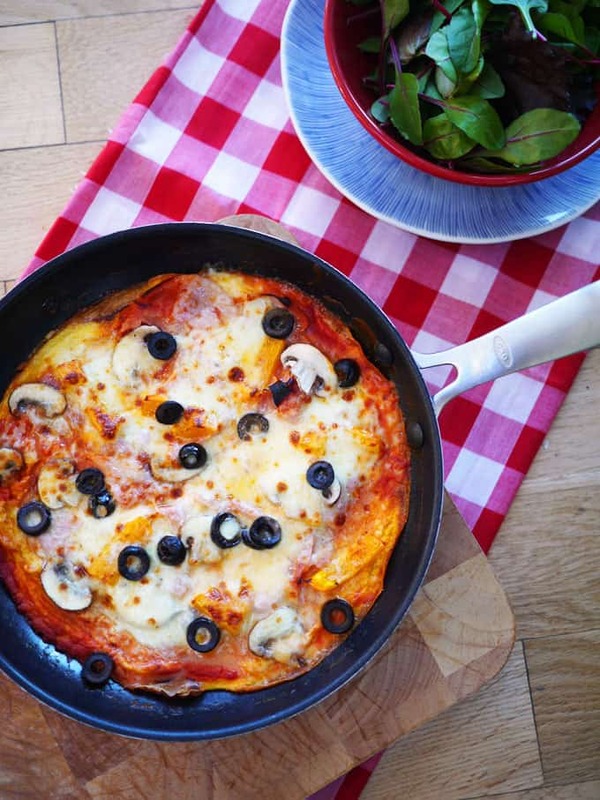 This high protein Slimming World pizza recipe is a lighter way to enjoy your favourite toppings. My healthy eating mission is back in full force and this pizza has been helping me along with it. I LOVE pizza (remember our pizza oven in the garden?) but sometimes you do need a lighter choice. 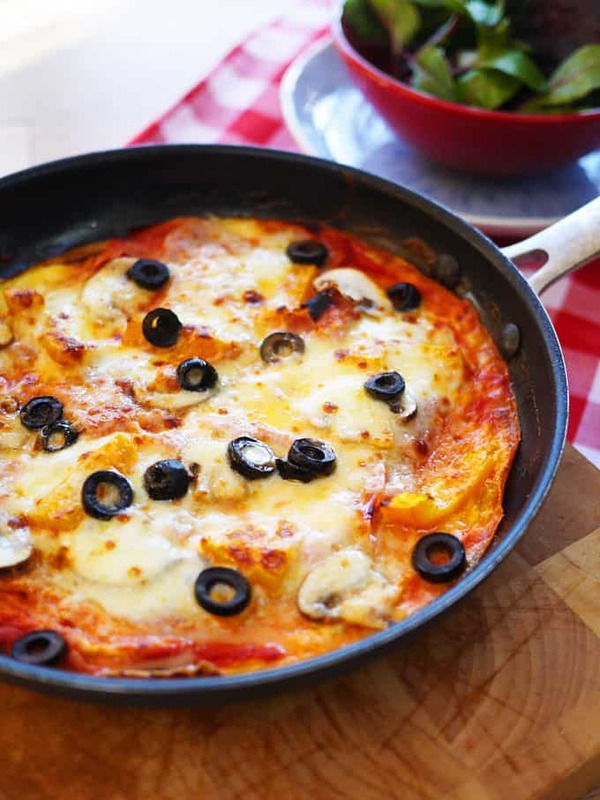 There’s heaps of low fat pizza options online, cauliflower pizza, mashed potato or Smash pizza (I’m not sure about that one personally..) but this is my favourite. It’s basically a topped omelette, so plenty of eggs for protein but it still feels like a treat. I really struggle with what to eat for lunch sometime. I work from home mostly and there’s a temptation to either forget about lunch entirely (ha, who am I kidding? Not often) or cook a full blown meal (as I’m right there in the kitchen anyway). This is a good stop gap, just exciting enough to feel like an occasion, but light enough to save me from falling asleep at my desk in the afternoon. 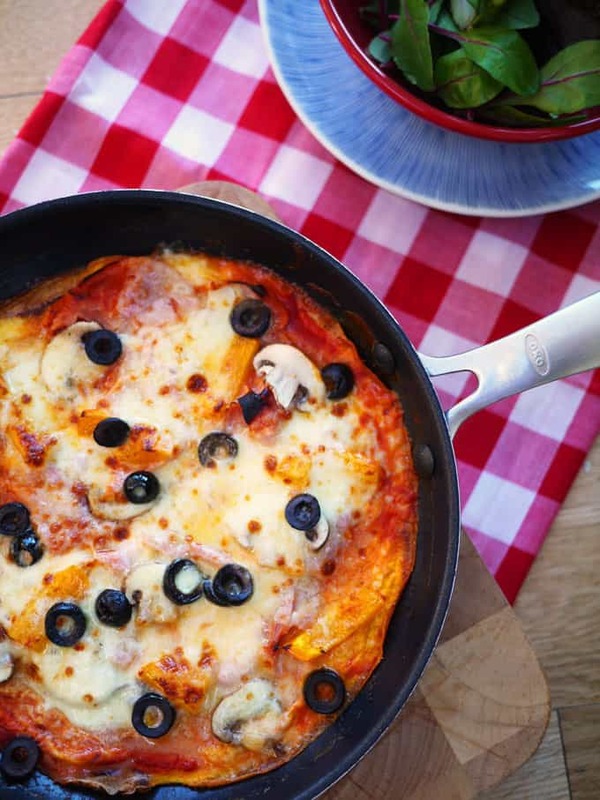 NB: If you’re following the Slimming World plan, half of this pizza uses the cheese as a Healthy Extra and if you don’t use the olives, eat away, happily with no syns, hurrah! Spray a frying pan with fry light and fry over a low/medium heat until the base is just set but the top is not quite cooked (about 4 - 5 minutes). Add the passata and then the other toppings. Pop under a hot grill until the cheese is bubbling and browned slightly. Please tell me it’s not just me that need to make lunch a bit of a treat as a reward for working so hard all morning?! 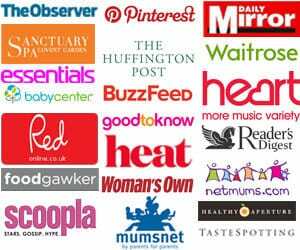 Pin the Slimming World Pizza recipe for later..
Hey Sara, Woah! You have come up with something that we all need. You deserve cookies for this recipe. I always follow your blogs and love your personality. 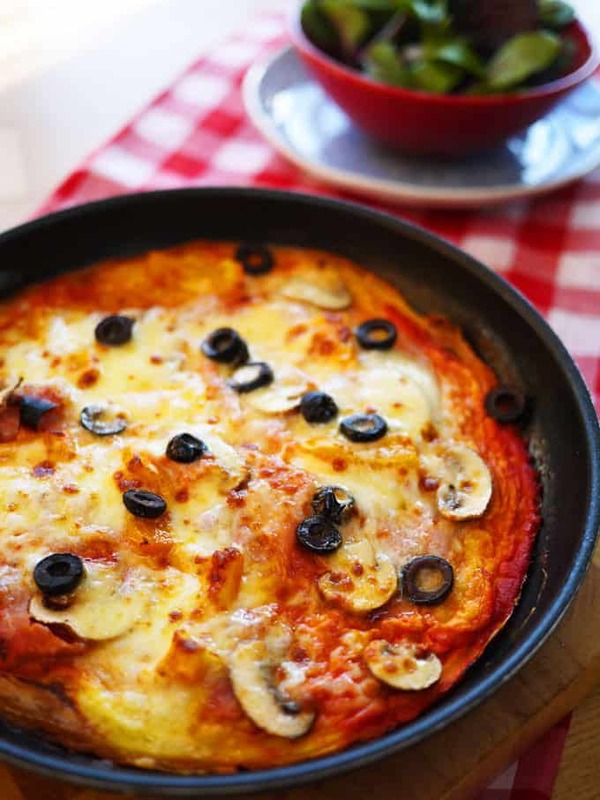 This protein rich pizza can surely keep me healthy while I enjoy my favorite toppings. It looks delicious, light and healthy. I can eat it at any time during my work and not feel lazy after having it. Thanks much!